The following is a very brief overview of Ms Leal’s scleroderma experience. Look for the book chronicling her complete story to be published sometime in early 2015. I looked up at the paramedic and smiled weakly through the tears streaming down my face. “Sorry” he said after another failed attempt at getting a needle in my arm to start an IV. Moving to my other side he tried the other arm. No luck. Observing the look of frustration on the paramedics face, I tried to crack a joke. Probably odd behavior on my part but I was new to this situation. I had never dialed 911 before. As a fiercely independent woman, I felt helpless as they worked on me. My mind was screaming, HOW DID THIS HAPPEN? THIS IS NOT ME! I was only 35 years old and should have been in the prime of my life. Instead dizziness, chest pains and the lack of strength to walk to the bathroom brought me my little joy ride. It all started on a holiday. I can remember that Fourth of July weekend as if it were yesterday. It was the summer of 1995 and I was in the beautiful foothills of the Sierra Nevada Mountains in Northern California. A single career woman, I had just met a wonderful gentleman, Jack, and was spending time with him at his home in the woods. I remember that July morning, I felt unusually fatigued and napped several hours during the middle of the day, something I had never done in the past. I awoke to find that my left thumb was throbbing and was painful to the touch. As the day progressed, the same symptoms traveled to each of my other fingers and then to my right hand. The next day, my feet and hands were swollen and in a lot of pain. The joints inflamed, made it difficult to walk or use my hands. This was the beginning of a long journey to save my life that would eventually lead me to be the founder of “Dusty’s Place”. After several days without relief, I saw my family doctor. He ran some tests and the diagnosis was rheumatoid arthritis, a diagnosis that appeared to make sense, due to the fact that several members of my immediate family suffered from the same thing. I learned early on to start asking for copies of my test results. Evidently, my test for this disorder actually turned up negative. When I questioned this, the response was “Well 20% of the people that have rheumatoid arthritis test negative for it”. Reluctantly, I accepted this but something in the back of my mind wouldn’t settle for that remark. I was scheduled to see a rheumatologist. There was a six week wait to get an appointment with this doctor and during that time frame I rapidly got worse. My hands and feet got so bad that I couldn’t even turn a doorknob or wear shoes. Desperate, I started talking to other people about their rheumatoid arthritis and how they handled it. To my surprise, I found that I had symptoms they did not. I dug deeper and realized; I did not have rheumatoid arthritis! I had tested negative for a reason. I started doing my own research and finally found a doctor who came highly recommended with connections to the John’s Hopkins Medical Center. I finally started getting some answers. After more tests, I was diagnosed with neuraly-mediated hypotension, hemolytic ecoli, hypothyroidism and an advanced case of candida. In other words, Chronic Fatigue Syndrome. I started taking prescriptions for thyroid and the neurally mediated hypotension and corrected my diet in an attempt to clear myself of the candida. Although I felt more confident with the diagnosis, I wasn’t getting better. In February of 1996, I went on disability. My short-term memory loss was getting worse and it became almost impossible to use a writing utensil because of the pain in my hands. Every morning my routine started with running hot water over my hands and feet just so that I could function. My right hand was now forming into a claw and a hard lump was growing on the back of it. My diet was so strict that it became difficult to leave the house for any period of time. The fatigue was to the point that I became exhausted just walking from my car into my house. My once energetic gait was now one that resembled an old woman, bent over and slowly taking one step at a time. All of this came to a head one day when the fatigue was so great that I had to crawl on my hands and knees to the bathroom. When I returned to my bed, I started getting dizzy and having chest pains. I knew I was in trouble and made the call to 911. I spent the whole day in the emergency room. Again, many tests were run that showed nothing. I was severely dehydrated and after a dozen attempts, a doctor was finally able to get an IV in my hand. I couldn’t believe it. I had been drinking a gallon of water a day! After eight hours, nobody had a clue. I could here the doctors talking about me. They didn’t think I could here them. The decision was made to start trying different types of drugs on me. I realized that this was an educated guess. I didn’t want a guess. I knew at that moment that I had to get out of the hospital. I was critically ill and I knew somewhere deep down inside that I had no room for guesses. Anything that happened to me had to be of some benefit. I mustered up as much courage as I could and checked out of the hospital against the wishes of the hospital staff. I had no idea what I was going to do, but the last thing I wanted was help from a “practicing” physician. The next couple of weeks were hell for me. I woke up one afternoon to find that my legs and ankles had doubled in size. I had severe edema. My first reaction was again to dial 911, but what could they do? I couldn’t see where my visit would be any different then the last one. I read up a little bit on some alternative therapies and applied them to the situation. For a week, I kept my legs elevated. Finally, I was able to walk a bit and take a shower without them swelling up. It was also during this time that I got pneumonia and then shingles. I now was also suffering from some new bizarre things that nobody had seen before. My arms and legs were covered with what I can only describe as “invisible rubber bands”. I had rings around my extremities that were indentations in my skin. My skin was also becoming very tough and tight. I called myself “Lizard Woman”. My face looked as if somebody had given me a bad lift and my full pouty lips were disappearing into hard thin lines. I was also struggling with my speech. It was becoming harder and harder to form words and increasing difficult to use my muscles. My lungs were now involved and every breath felt like somebody was sitting on my chest. Although the edema had improved, I still looked like a person with no ankles. At this time I was able to add a new diagnosis to my arsenal of problems, fibromyalgia. I wanted to just throw myself into the hands of a doctor and feel safe. I was terrified. Reality was that this never was going to happen. Many doctors had looked at me with no clue as to what the core problem was. By January of 1997, I had not made any significant progress. Several of my problems were under control but far from greatly improved. Some of my symptoms were becoming more pronounced and I sought out other doctors. I must have had gallons of blood drawn for tests. My time was spent either sleeping or going to a doctor. I had a CAT scan and an MRI done. Some doctors tried to convince me it was in my head and gave me anti-depressants. I was prescribed pain management therapy. I had a doctor tell me that he thought I must have Aids. I had already tested negative for it but he wanted me to test for it again. I was told a plethora of different things and I was getting fed up. All I wanted to know was the truth about what I really had. Not somebody’s guess!!!! Over two years into my illness and the light at the end of the tunnel still looking like an on coming train, I decided to push the envelope as hard as I could. I figured I had nothing to lose. I tried many things. The defining moment in my recovery came when I was introduced to a Traditional Naturopath by the name of Candace Lee of Pine Ridge Health in Willits, California. I finally found someone who would give me straight answers and time. I had always felt that I suffered from parasites but could never get a confirmation of this from any doctor. Candice did, and treatment started right away. I did not realize that there is a connection between candida and parasites. This treatment also facilitated my complete recovery from candida. Candace identified exactly what my body needed through the use of Applied Kinesiology. In a nutshell, kinesiology is the science of muscle testing. The body can identify through testing a muscle, what it does or doesn’t want. This method is similar to, but not barbaric, like allergy testing. When an individual goes to a doctor to find out what they are allergic to, the doctor typically pricks the patient’s body with the suspected allergens. The patient’s skin will have an adverse reaction to whatever they are allergic to thus providing an identification of the offending substances. Fortunately, a person can get the same results more easily and less painfully through Kineseology. In the simplest of terms, a muscle is isolated on the patient to be used for testing. The practitioner then has the patient hold the allergen (or whatever is being tested such as a pharmaceutical drug, food etc.) in their hands and then tests the muscle for strength. A strong muscle indicates a desire for what is being tested and a weak muscle indicates an adverse reaction. Correctly done, it really is as simple as it sounds. During my first visit with Candace, I proudly displayed my bag full of supplements and herbs I had been taking. After all, I had done my research and I just knew that all of these things were helping me! Well, my body had a different opinion. After she was done, Candace identified through the use of kinesiology that 65% of what I had been taking was sitting in a “no” pile. I sat there shocked, looking at all the money that I might as well have flushed down the toilet. I now came to understand that taking an herb or supplement that didn’t benefit my body only created more stress on it. Through the use of kinesiology, my body started getting what it needed, not what somebody’s educated “guess” decided for me. I started to improve. Alarmed by the appearance of my skin, Candace started doing research as to what was wrong with me. Several months into my treatment, she called me one night at home and told me what she thought my diagnosis was. My health challenge was systemic scleroderma. A biopsy at my HMO confirmed the localized version. I experienced a plateau in my recovery after I had been seeing Candace for a while. After a couple of months of no improvement and realizing that a set back could be imminent, I remembered how depressed I had become after my diagnosis. During this depression, I had a big health set back. Could there be an emotional connection to this disease? I began to look at scleroderma from that point of view. I found a fabulous therapist, Nonine Painter, and through identifying and releasing these negative thought patterns, I was able to move forward with my healing. One of the methods used was Holographic Repatterning. I do not feel that I would have recovered had I not dealt with these issues. This work helped awaken me to many different aspects about myself but the most glaring realization was the fact that I had many “unhealthy” relationships in my life. As I dove into the realm of my subconscious that hid this information from me in the form of denial, I felt an overwhelming number of different emotions. The denial of course was at the forefront but once I got past it, I had no idea how low my self-esteem was. What became clear to me was, I needed to change my playground. Realizing that I had invited and embraced most of these relationships by bringing these people into my life was very jarring. It’s really easy to blame other people for situations in your life. The cost of doing this is to become… a victim. I was putting a huge effort into my body from a physical standpoint and it was responding beautifully, then it stopped. It never occurred to me that I’d have to do the same for my mind. I gave constantly in all my relationships from boyfriends, to family, friends, employers and accepted less or nothing in return. All my life, I had pulled these people in like a flytrap. Now, I had to reevaluate the dynamics that existed in all these relationships and either change them or let them go. The process of going from victim to being empowered as a woman and in control of my health and happiness was long and arduous. Well worth it, I am blessed with people in my life today who embrace and nurture the woman I have become. The life long journey to find Mr. Right became the journey to be “The person I want to be for the rest of my life”. In the summer of 1999, I literally changed my playground and moved from Sonoma County to a little town nestled in the foothills of the Sierra Nevada’s in El Dorado County called, Shingle Springs. Moving away from family, friends and my health care practitioners was a scary venture. By this point in time though, nothing would ever be as scary as the nights I had laid awake, afraid to fall asleep lest I take my final breath. With a renewed appreciation for life, I thrived on my hilltop property overlooking the beautiful Sierra’s. Shingle Springs brought me a gift in the form of Angela Burr-Madsen. In need of a Traditional Naturopath who lived closer to me, Candace referred me to her mentor, Angela. Very forward thinking in her approach to natural therapies, Angela’s method of keeping informed on all the latest therapies was very appealing to me. I saw a kindred spirit in her, somebody unafraid to think outside the box. I continued my full recovery. As my mind and spirit healed, so did my body. In tandem, I returned to optimum health by the fall of 2002. My journey into the depths of ill health and then back, had taken a little over seven years. The return of my boundless amounts of energy was like drinking from the fountain of youth. Now at 42 years of age, I embraced the wrinkles that were rapidly appearing on my face. The tight face of scleroderma was relaxing into an older, wiser woman. Although excited to finally see wrinkles, I must admit I did fall back in to vanity a bit. After awhile, all I could say was “Alright, enough already, no more wrinkles!” It felt like some sort of weird advanced form of aging. I wasn’t. I had made a conscious decision not to. So many people had questioned the path that I had taken to my recovery. I knew it was controversial and on more than one occasion, someone told me that they thought the methods I was using would kill me before the disease did. I now was at a point in my life where I just wanted to enjoy what I had fought so hard for. Going public with my story and dealing with the negative responses or feedback was repulsive to me. 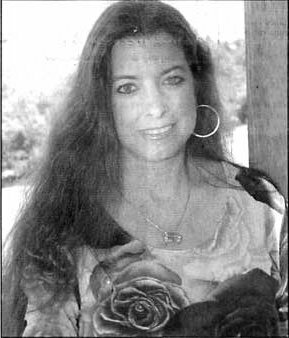 In June of 2002, I reevaluated my position on going public after hearing about the passing of Sharon Monsky, a pioneer in scleroderma research and founder of the Scleroderma Research Foundation. Sharon fought hard for a cure but unfortunately lost her life to the disease. Moved by this loss, I started to look for ways to get my information out to the public. It made sense to contact all the organizations and medical facilities that fund and facilitate the research for a cure. I was open to going anywhere in the United States to meet anyone that was willing to talk to me. I was happy to donate blood and tissue samples. Even at my own expense. Interestingly yet not surprisingly, I could find no interested parties. I was either told, “We have no protocol for you” or after explaining my story “ Are you done yet? I have to get back to work” Phone calls; fax’s and emails went unreturned. I was getting blown off like a bad habit. Now I was mad. In November of 2002 while on the Internet one day, I was looking at the web site of the Scleroderma Research Consortium. This organization of doctors and medical facilities works together on various research projects. The site listed all the clinical trials in place and I was reviewing them. As I read down the list, one stopped me cold in my tracks, stem cell research. I wasn’t alarmed by the research but by the recruitment criteria, children. I have no children and can’t explain why I became so enraged but I did. It is such an invasive procedure with a significant mortality rate. I knew that there were other alternatives and realized that these poor parents and children needed to know about them. My little voice had to become bigger. It was at that moment that the eighteen-month Dusty’s Place Scleroderma Research Program was born. The Dusty’s Place Scleroderma Research Program implements what I learned about the disease during my recovery. My experience as a “living guinea pig” has allowed me to narrow the program down to all the therapies and information that completely benefits someone suffering from scleroderma. I continued to study these therapies after my recovery in order to learn more about the disease. Certain products I had tried had helped me quite a bit so I started looking into the – why? By doing so, I was able to uncover several “common threads” of this disease. Three of which are an identified parasite, bacteria and an emotional characteristic of individuals with scleroderma. Unique to this program as opposed to other research is that each participant has an individual protocol designed specifically for him or her. Scleroderma is very diverse in how it affects a person and needs to be addressed as such. Each individual has the “common threads” of the disease as a primary focus with the secondary focus on the diverse affects that the disease has. This program is not about a “magic bullet” or pill to stop the disease. Participants are guided through a complete program that empowers them to make life-changing decisions about their health. The end of this journey is the return to optimum health. My favorite response is “Is your house ever just a little bit on fire?” I get some strange looks from people but it definitely gets my point across. Unbeknownst to me, I had healed myself into some strange category of, too healthy! Although “technically” there is no known cure for scleroderma, I must be a medical miracle. In fact, I am not. I was just willing to try something different. It has been a long road but my skin is now normal and I am back to working full time. The “bands” on my arms and legs have disappeared. To look at me or touch my skin, gives away no indication of how ravaged my body once was. In some ways, I am actually healthier than before I got sick. I am living a wonderful life. I am still here, because I decided to try something different.